A beta of Microsoft's digital assistant for Android surfaces before its official launch later this month. 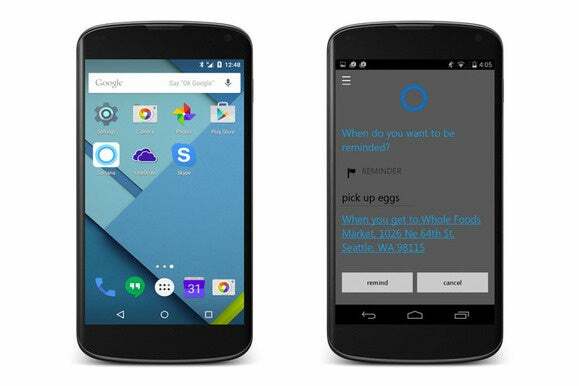 If you’ve been eagerly awaiting the arrival of Cortana for Android, today’s you’re lucky day. According to Finnish tech site SuomiMobiili (via Unofficial Microsoft News), a prerelease build of Microsoft’s digital assistant for Google’s mobile OS leaked out Friday and has been illicitly made available for download. Unofficial Microsoft News says the leaked build is “functional” and that it has all the features you can expect from Cortana on Windows 10, so it would seem to be a pretty direct port of the software. The story behind the story: Microsoft announced Cortana for Android last month, with a goal of releasing it sometime in July. By releasing Cortana for Android, Microsoft will take another step toward fulfilling CEO Satya Nadella’s vision for the company—that is, to provide productivity tools to as many customers as possible, even if they’re using a competing platform like Android. Whether Cortana offers enough to sway Android users away from Google Now remains to be seen, but you can’t fault Microsoft for trying. If you decide to take it for a spin, keep in mind the leaked version of Cortana is still a beta—and one that wasn’t necessarily intended for public consumption—so you may encounter bugs along the way. If you’d rather play it safe, stay tuned for our hands-on next week, and we’ll let you know how it worked for us.